Andrew George, author of Modern native feasts, healthy, innovative, sustainable cuisine is from Wet’suwet’en First Nation in northwest British Columbia. He was head chef at the Four Host First Nations pavilion of the 2010 Winter Olympics in Vancouver. He is a chef educator with a particular interest in encouraging healthy, local eating among First Nation youth (see www.storyhive.com/project/show/id/850). 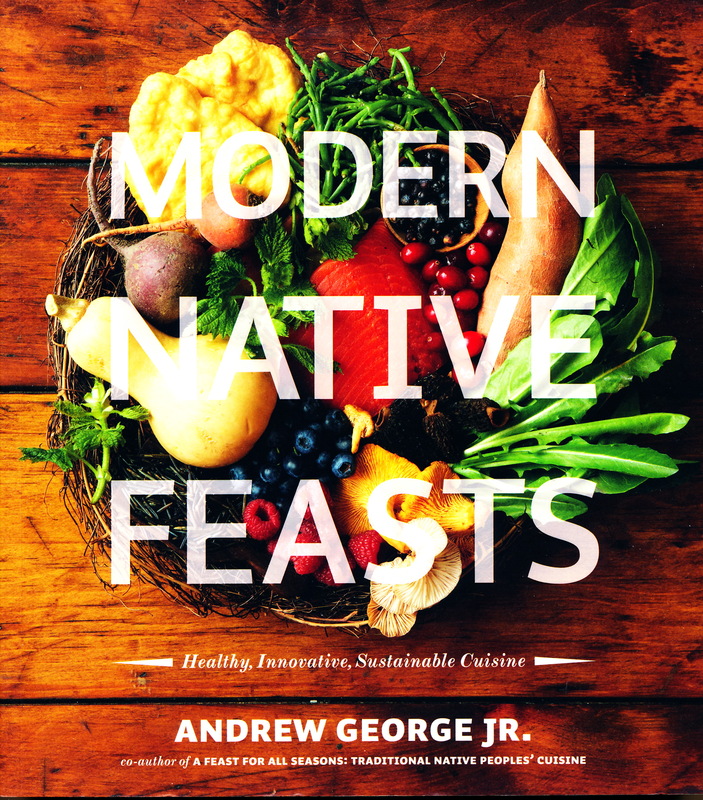 Modern Native Feasts is one of three recipe books that he has written. Native Feasts has much to offer teachers wishing to incorporate First Nations foods into their curriculum and encourage aspiring First Nations chefs, and anyone who likes to experiment with wild game cooking or infuse more locally grown foods into their meal preparations.